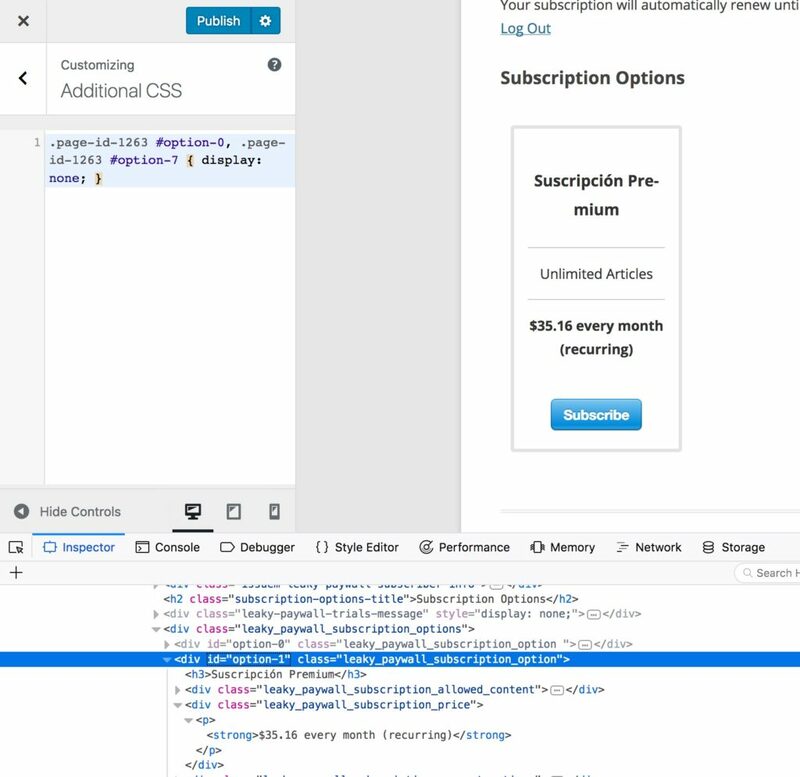 This method uses CSS and is recommended if you are using the Stripe checkout popup or Paypal button directly on the subscribe card. It can also be used if you are using the registration form. 1. Create the new page. 2. Add the [leaky_paywall_subscription] shortcode to the content editor. 3. In the WordPress Customizer, click “Additional CSS” add the necessary CSS to hide the cards you don’t want to display. For example, if page ID is 1263 and the subscribe card levels you want to hide are 0 and 7, your CSS would look like this.